King George VI (Colin Firth) had a severe stammer. In the years leading up to his coronation, radio was becoming increasingly more popular and also becoming a necessity for the King to reach the whole of the vast British Empire. You can see how this might cause him mild anxiety. After quite a bit of struggling to overcome his impediment he finally found a therapist, Lionel Logue (Geoffrey Rush), who might actually be able to help him. The bulk of the story is about how these two men interact with each other and the effect that interaction has on both their lives. 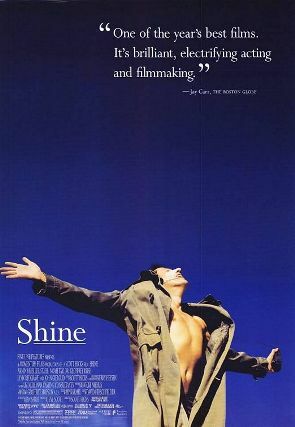 You would think this human drama, mixed with the looming threat of Adolph Hitler (a gifted public speaker) and a world on the brink of war, makes for a compelling and moving film. What it ultimately becomes, however, is a perfectly warm and cozy "feel-good" movie with no substance. I don't want to deny Firth or Rush their due. They both completely disappear into their characters, and the scenes with the two of them in Logue's office are very entertaining. 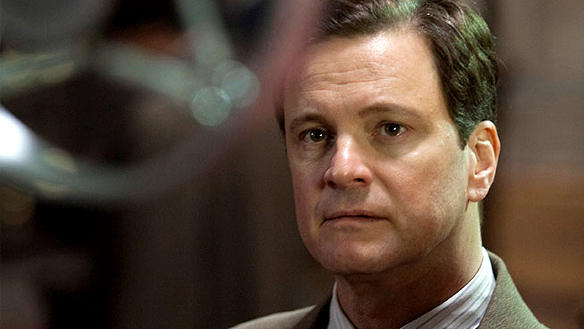 I remember one scene in particular with an extremely frustrated Firth birthing a string of expletives that George Carlin would be proud of. This is the scene that earned the film it's "R" rating. A great movie isn't made up of a handful of good scenes, though. It gets so interesting when both of them are on screen together that when one of them is absent everything starts to fall apart. The director counted on this. You become instantly smitten with these characters and want everything to turn out okay. Instead of including real dramatic hurdles like dealing with Hitler and the war, The King's Speech decides to throw softballs. You get a series of minor inconveniences instead of real problems. Inconveniences like: The King's adviser doesn't want the King to use Logue as his speech therapist. But the King is ultimately the person in charge...all he has to say is, "No." This isn't to say that the film's shortcomings are solely the director's fault either. There are a few instances of very smart direction. When Firth is stammering, the camera gets up very close to him and goes slightly off-center. You get the feeling of being trapped and nervous. The viewer starts to feel some of the tension the character feels. Once he relaxes and words start flowing together, the camera backs away and centers again. Everything is back to normal. If all of these positive examples were puzzle pieces, there wouldn't be enough to create the whole picture. The King's Speech isn't a bad film by any means, but it is hardly deserving of the accolades that are heaped upon it. It is a film that relies on evoking sympathy from the audience and not on solid dramatic storytelling. It is just missing too many pieces to make it complete. Summary: The King's Speech is and film intentionally designed to tug at your heartstrings. It is a classically constructed "feel-good" movie and is sure to win Best Picture at the Academy Awards this year. If you aren't looking for anything more than this you surely will not be disappointed. There are, however, much better films from 2010. 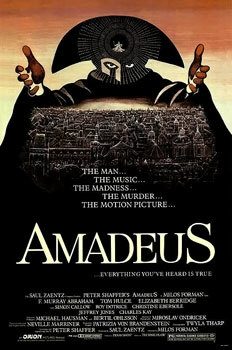 Grade: B.
Amadeus is another biopic that revolves around a relationship between two men. Like The King's Speech the actors in these two roles are phenomenal. Unlike The King's Speech this relationship isn't a friendship as much as it is a deeply burning jealously turned into hatred. It's overly long and, at times, boring, but overall stands head and shoulders above The King's Speech. 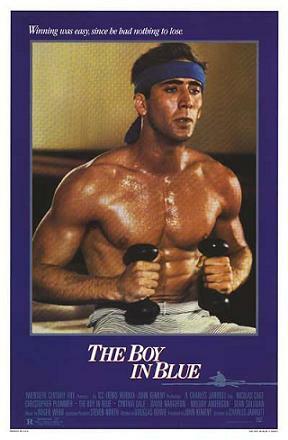 Back when Nicholas Coppola first reinvented himself as Nicholas Cage and cemented himself in pop culture history in Raising Arizona, he was in a movie called The Boy in Blue. Haven't heard of it, you say? There is a very good reason for that. It's a movie about rowing. Possibly the most boring biopic I've ever seen. Stay away. I was planning on subscribing to your blog, but I just realized you're an idiot. I'm glad you were able to fully elaborate on your opinion without resorting to juvenile "name-calling". You bring up some fine points and I'll be sure to reflect on them. I wouldn't call this film "incredibly mediocre", nor would I call you an idiot. I liked the movie, but I expected more from it, as I am sure that you did as well. I hope Black Swan grabs Best Picture instead, now.